With the recent passing of the 2018 Farm Bill, hemp has been welcomed back as an agricultural powerhouse in America. This multi-use plant does much for the Earth and humans alike. As we return to our country's roots, more hemp will be planted nationwide, and more hemp-derived products will be hitting the shelves. Like CBD. This means that with more producers of hemp-derived CBD, it's necessary that we have better means to differentiate between the quality growers and processors so that we can easily understand companies who are laboring to make quality products and companies who might just be in it for a quick buck. Which is why the U.S. Hemp Authority™ created a Certification Program to provide high standards and "giving confidence to consumers and law enforcement that hemp products are safe, and legal." 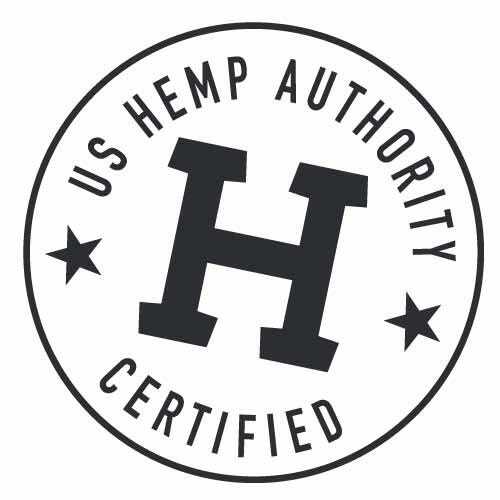 To make shopping for hemp products easier, there's now a seal of approval for companies and their products that meet the stringent standards of the U.S. Hemp Authority™ and pass a third-party audit. This means that shopping for quality CBD just got easier. Just look for this seal. We applaud the U.S. Hemp Authority for helping consumers make easy, educated decisions. We're also quite proud to announce that our Charlotte's Web products carry the seal, celebrating the Charlotte's Web dedication to quality, every step of the way.